German transport and logistics giant Deutsche Post DHL (DP DHL) is on track to hit is 2020 earnings targets after delivering solid results in 2018, according to Frank Appel, the company's CEO. Appel, confirmed 2020 guidance of at least EUR 5 billion (US$5.62 billion; one euro is worth approximately US $1.12) in operating profit, which is measured as earnings before interest and taxes (EBIT). This would mark a significant jump from the EUR 3.2 billion the Bonn-based company reported in 2018. DP DHL expects operating profit of EUR 3.9 to 4.3 billion in 2019, Appel told investors and analysts on March 7. Full-year revenue rose 6 percent in 2018 to EUR 61.6 billion, or slightly under $69.2 billion, DP DHL said. Fourth quarter 2018 revenue rose 5.1 percent to EUR 16.9 billion. The company would not comment on the 2019 revenue outlook other than to say it plans to grow its top line faster than the overall market. The key factor driving 2019 profitability will be the restructuring of the company's postal, e-commerce and parcel business, Appel said. Effective January 1, the division was split in two, with a new division managing intra-German mail and parcel deliveries, and the international parcel and e-commerce activities combined to form a division called "DHL eCommerce Solutions." The restructuring led to a near EUR 1 billion year-over-year decline in the unit's operating profit, as the company spent EUR 502 million on the restructuring efforts, it said. The restructuring charges dented systemwide fourth quarter EBIT by four percent to EUR 1.1 billion. 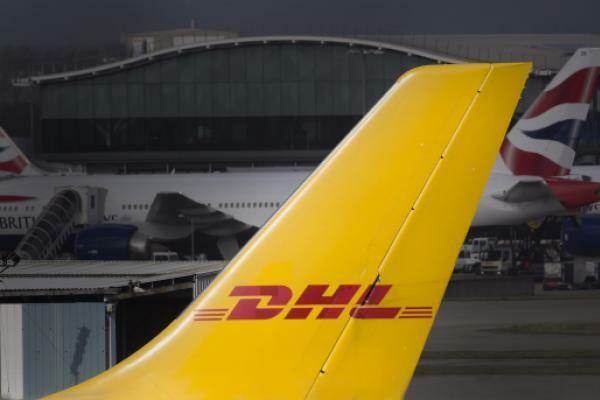 DHL Express, the company's international business-to-business parcel unit, reported a 7.3 percent year-over-year revenue gain to EUR 16.1 billion. The unit's volume was led by a 7.4 percent traffic gain in its international time-definite delivery business, the company said. The postal-ecommerce-parcel division posted a 1.7 percent revenue gain. DP DHL's global freight forwarding business posted a revenue gain of 3.4 percent, with gross profit rising 3.9 percent and EBIT climbing 48.8 percent due to efficiency improvements, the company said. Revenue for DHL Supply Chain fell about six percent year-over-year, impacted by negative currency effects and the sale of a subsidiary, DP DHL said. Operating profit declined by EUR 35 million due to what the company called one-time hits in customer contracts and pension obligations. The two charges totaled EUR 97 million, according to DP DHL.